Kumar Kruti is a unique unparalleled creation in concept, design and perfection. A home that has been culled from 39 Years of home building experience of Kumar Builders and has been given a separate identity, a powerful statement of being. 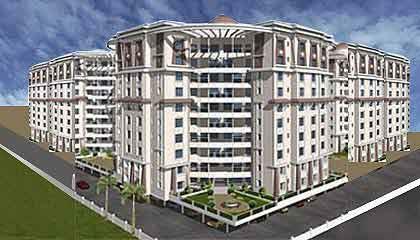 The project features world-class amenities that make life not only easy but also pleasurable. Strategically located, the project is conveniently close to the airport, railway station, educational institutes, hospitals and shopping complex. Designed by the renowned architect, laxman Thite, Kumar Kruti will deliver a new definition to luxury. Cricket Net, Putting Green , Main Swimming Pool, Pool Entry Court, Pool deck, Deck side cafe, Kids Fun pool, Water Feature , Children's Area, Creche, E-mail / Fax Room Facility, Take away meals counter , Wi-Fi connectivity to every flat, Video - door phone, Visitors Tracking System, , Gas Leak detector to every flat, Portable Panic button in every flat.